The presentation of gout and its various stages from acute to chronic is reviewed in detail. Associated dietary and genetic factors and their presentation are reviewed. 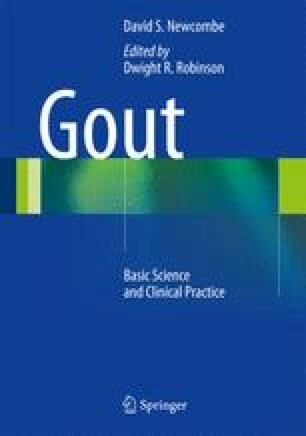 This chapter forms the basis for the diagnosis and management of gout that are discussed in subsequent chapters.